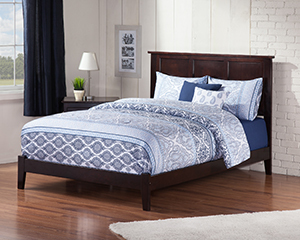 What’s the difference between a traditional bed and an Atlantic Furniture Platform Bed? 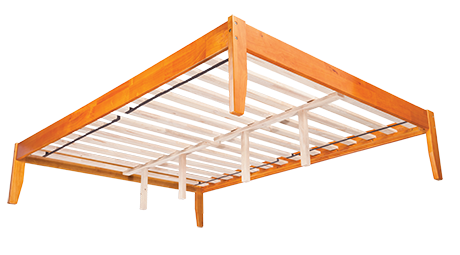 Our Platform Beds employ a unique dual height slat kit and bed frame support system that eliminates the need for a foundation. 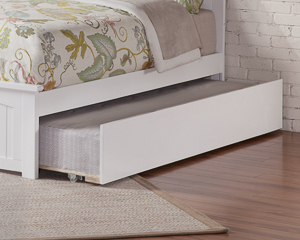 Atlantic Furniture Platform Beds can be set in a high position to be used with a mattress only, or a low setting to accommodate for a mattress and foundation set. 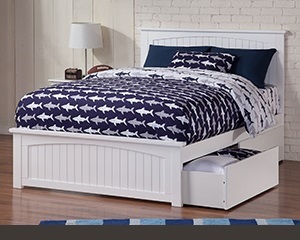 Set in a low position to accommodate a mattress & foundation. Set in a high position for use with only a mattress. 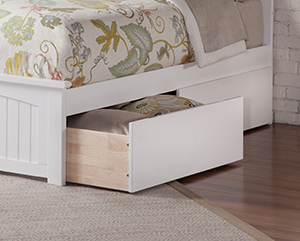 Save space and extend the utility of your bedroom. 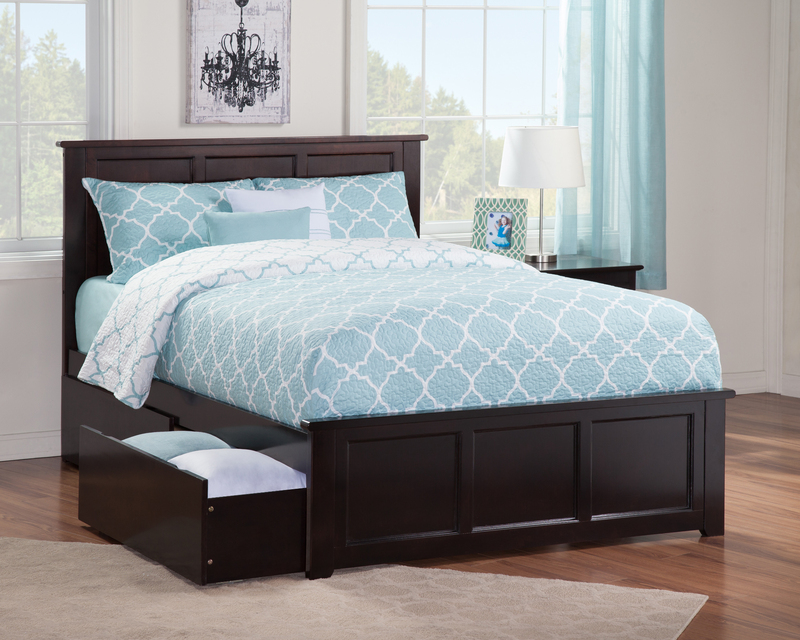 When set in a high position, our platform beds accommodate up to two pairs of rolling storage drawers or one twin size rolling trundle bed! 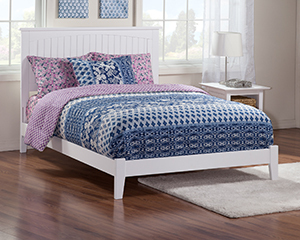 Our NEW elegant matching headboards & footboards bring a complete look to your bedroom. 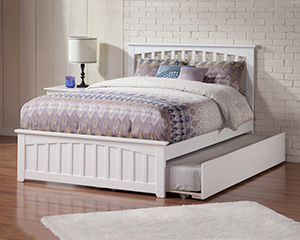 Sold with our storage and trundle packaged platform beds, or with our standalone traditional beds. 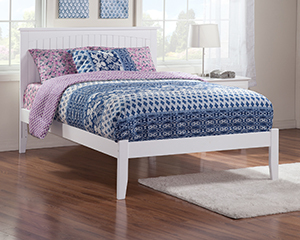 Our dual height platform bed frames utilize a strong 14-piece adjustable slat kit. 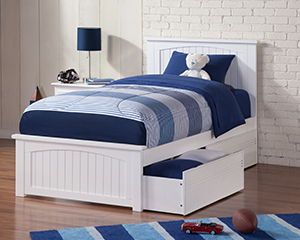 Beds from full to king sizes employ four solid hardwood center-support legs for additional strength. Safety is a core tenet of our designs. 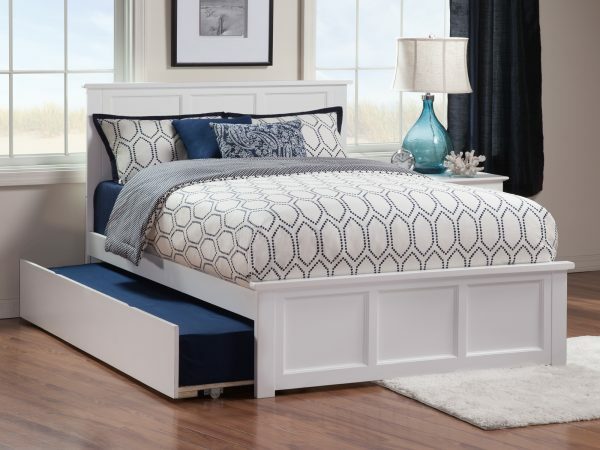 Solid hardwood construction, multi-piece slat kits, and steel reinforcement are key elements in making our platform beds some of the safest in the industry.